Another day with the beautiful Southern Right whales. 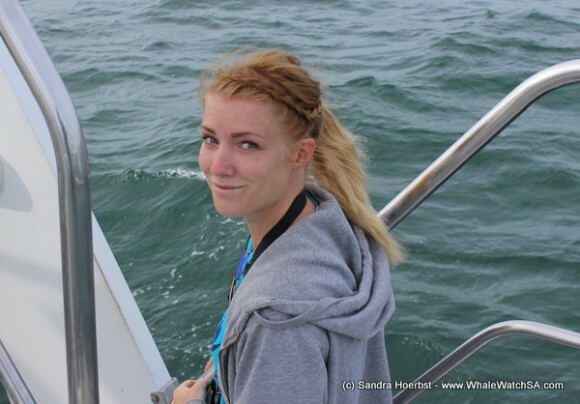 The day did start with a light breeze and a sky full of clouds, but the wind speed picked up and the sun came out. On our way to Pearly Beach we had a look at the Great White shark, who was swimming around our sister company Marine Dynamics. 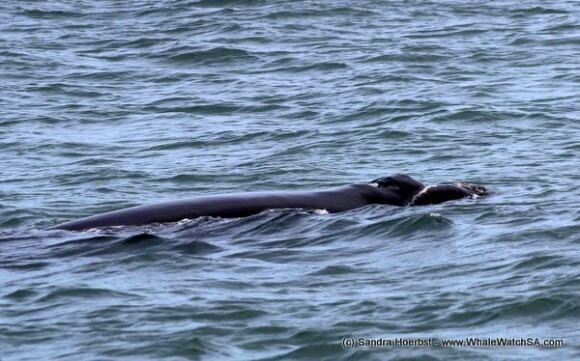 Arrived in our whale watching area for the day, we found a friendly mother with her little calf. 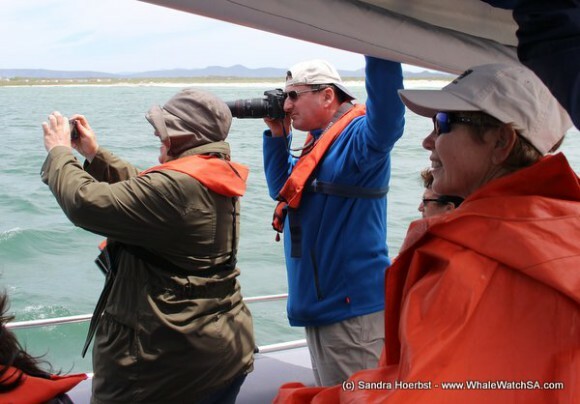 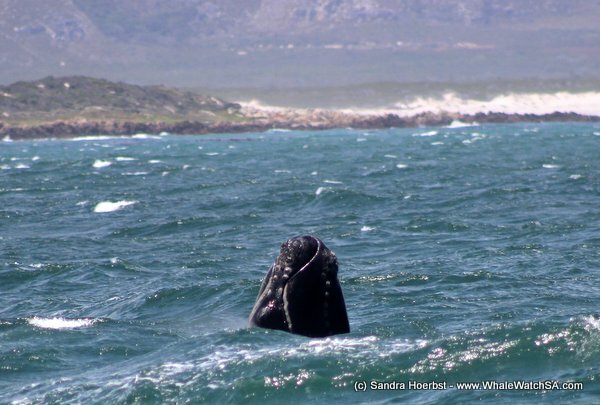 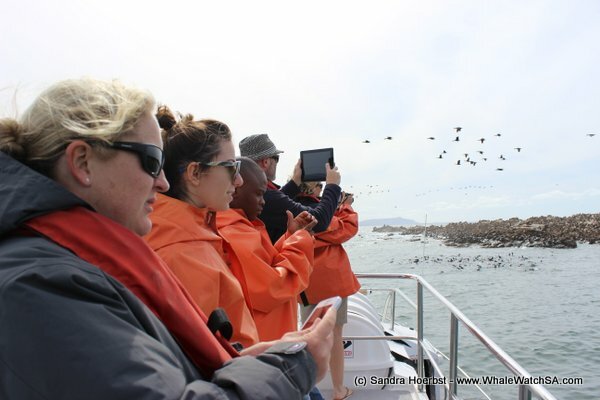 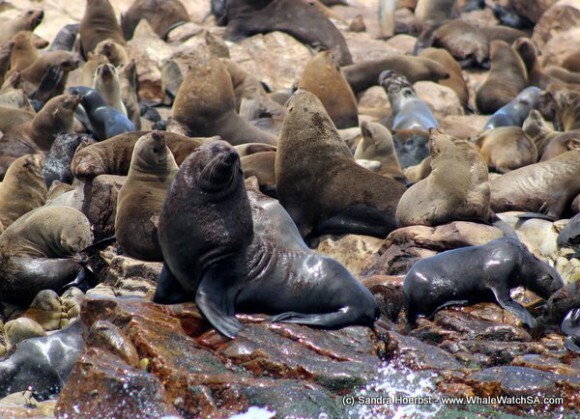 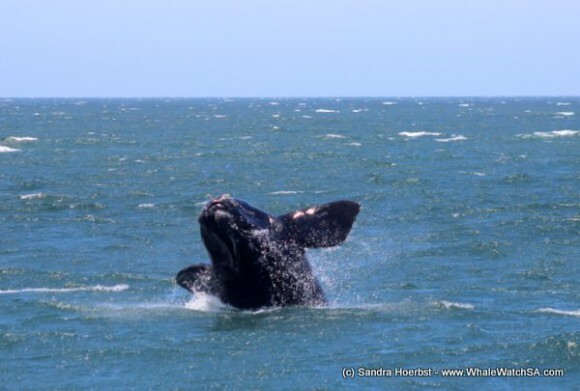 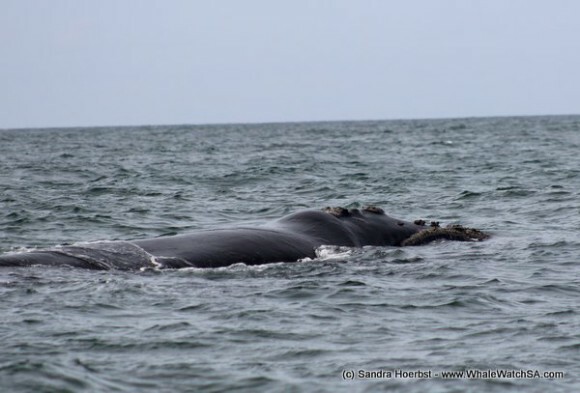 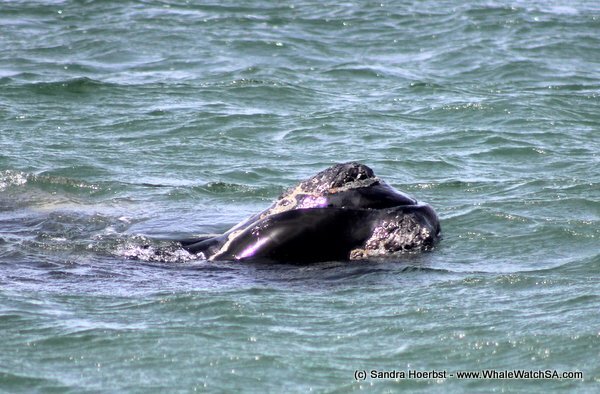 With the windsped also the action of the Southern Right whales picked up. 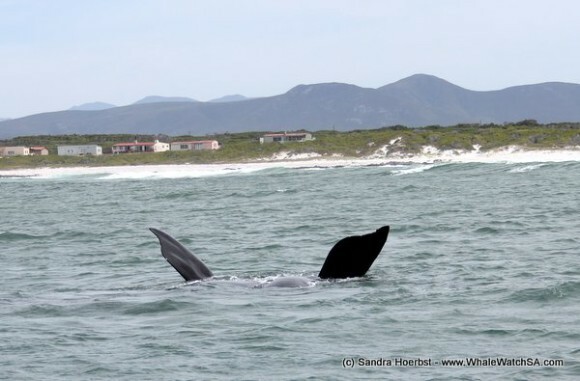 A calf was breaching several times and had a break before he was breaching again.